Nashville Symphony Presents Rick Treviño in "Streets of Laredo"
Celebrating the Hispanic Roots of Country Music with Special Guests, Riders in the Sky, Johnny Rodriquez, Jim Lauderdale and Elizabeth Cook. Show includes tribute to Freddy Fender. Austin, Texas native Rick Treviño will showcase the diversity of his repertoire, from honky-tonk to Hispanic and beyond, in a special June 6 concert at Nashville Symphony's Schermerhorn Symphony Center as the kick off concert to the Symphony's first ever Target World Music Festival. Treviño has enjoyed mainstream country success ("She Can't Say I Didn't Cry," "Doctor Time," "Running Out of Reasons to Run") and has explored his Mexican roots with the all-star Grammy award winning ensemble, Los Super Seven. Upcoming for Warner Nashville is a new CD, Whole Town Blue. 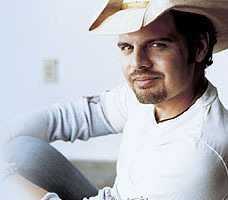 The Hispanic influence in country music from "The Streets of Laredo" to "Ring of Fire" to the bolero groove of Brook's and Dunn's "Neon Moon" is prevalent and deep. Rick and his special guests will explore this exciting musical thread, showcasing the contributions of Latin rhythms, song forms and instrumentation to the country music songbook. Guest artists, Riders in the Sky, the multi Grammy Award winning Western music group whose music is firmly grounded in the rich American music traditions of such legendary cowboys singers as Gene Autry, Roy Rogers, and the Sons of the Pioneers-and whose fun-filled performances have enchanted audiences of all ages-are themselves the stuff of legend. The show will include Rick's tribute to his friend and Los Super Seven member, the late Freddy Fender. There will also be a rare appearance from Johnny Rodriguez, an influential artist who recorded 11 consecutive #1 singles and became a country music super star before his 22nd birthday. Other special guests include Elizabeth Cook and Jim Lauderdale. The Nashville Area Hispanic Chamber of Commerce (NAHCC) is helping to promote this memorable event to Nashville's multi-cultural community. NAHCC board member, Puerto Rican born composer Gil Veda, the Grand Ole Opry's first Hispanic performer, will present Treviño with a Special Award of Recognition on behalf of the NAHCC. NAHCC members receive 50% their tickets by going by the Schermerhorn Symphony box office or calling 615-687-6400 and mentioning this special offer for NAHCC members. Parking for all events is free at the SunTrust parking garage located at Fourth Avenue and Commerce.